Barbara Palmer: "Global Platform Could Unite, Expand Virtual Events"
The Network. That’s what Tony Lorenz, founder of bXb Online is calling a new global online channel designed to aggregate content that offers live and on-demand content, primarily from face-to-face events. Tony Lorenz, left, with industry leaders at Convening Leaders. Plans are to launch the network later this year, but only after gathering information from the events industry. The network, which will be on an open-source platform, will be “for the industry and by the industry,” he said. Pulling content together onto one network will make it easier for users to find and access the best, Lorenz said. He also expects that by aggregating the content, the network will raise the profile of the events industry in the greater business world, he said. 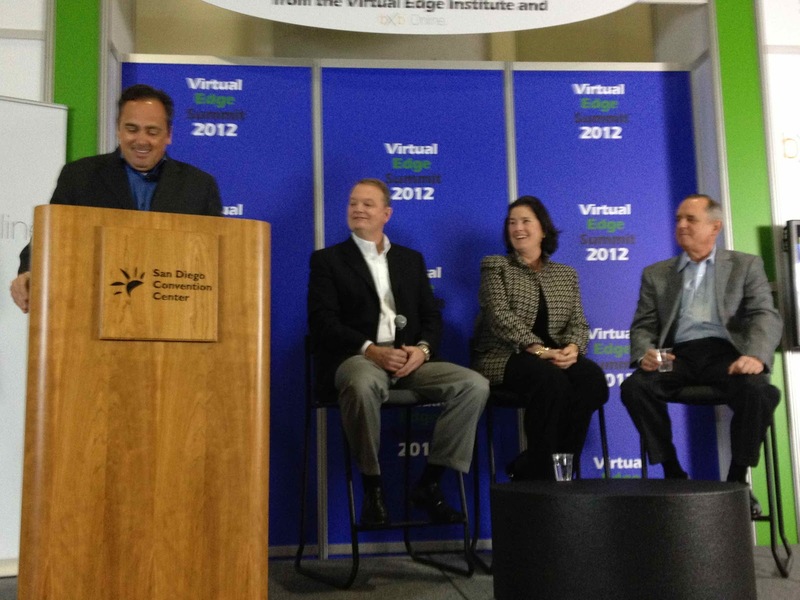 Plans for the network were announced this morning at the San Diego Convention Center at a press conference held during Convening Leaders. Lorenz was joined by supporting organizations, including the American Society of Association Executives (ASAE), the Professional Convention Management Association (PCMA), and Virtual Edge Institute (VEI). The International Association of Events & Exhibitions (IAEE) is also a charter supporter. Lorenz will be gathering information from the industry in a series of face-to-face events, some tied to large industry events, as well as through an online forum. More details are available here, http://bxbonline.com/blog. Those interested in participating can also contact bXb by email at thenetwork@bxbonline.com.